Players looking to get their hands on Dark Souls 2 before the release date might just be in luck. There has been reports that Dark Souls 2 is being sold early by a US retailer, which comes after the controversial news that other big titles had been put up for sale before their official launch dates. 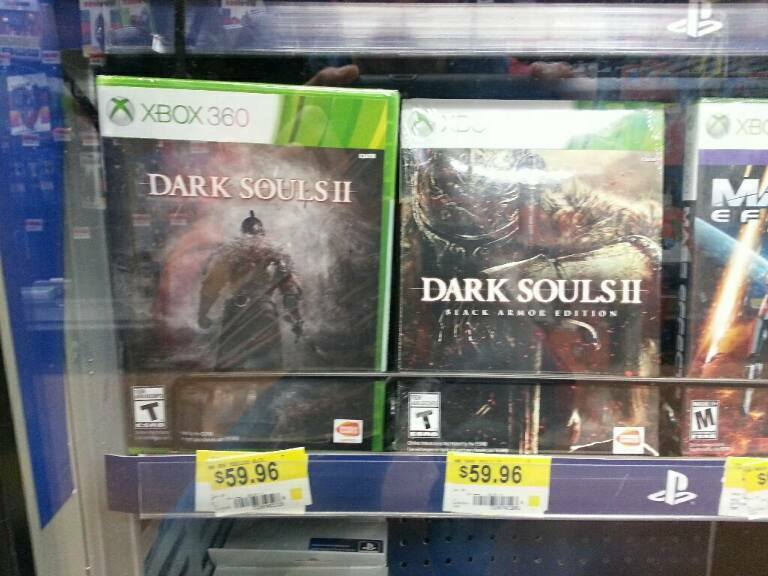 Reddit user ‘T2000iceCOLD’ has posted a picture of Dark Souls 2 on sale at a Walmart in Georgia, with the game not supposed to be going on sale until March 11th. Some forum users sometimes like to cause mischief by photoshopping fake pictures but this one looks legit to us, take a look for yourself here. Although the title has only been put up or sale on the shelves a few days early, rules are normally very strict on when games are allowed to be sold. Twinfinite reports that copies of Titanfall and Metal Gear Solid V: Ground Zeroes have also surfaced in various retailers early, which is far more severe than this Dark Souls 2 incident. In the past retailers have found themselves in hot water by allowing consumers products before the allowed date and time. We see this happen a lot with midnight launches for hugely in demand games, with customers having to queue up wait until the first minute of the launch day to get their copy of the game. Now that Dark Souls 2 is only a day away from its official launch will you be buying it, or did you manage to pick up a rare copy early?